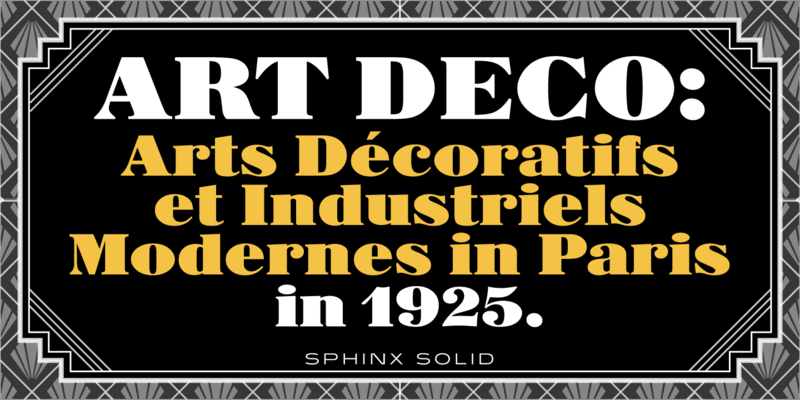 Sphinx is a decorative fat face serif font family, based on the original designs from the Deberny & Peignot foundry, circa 1925. 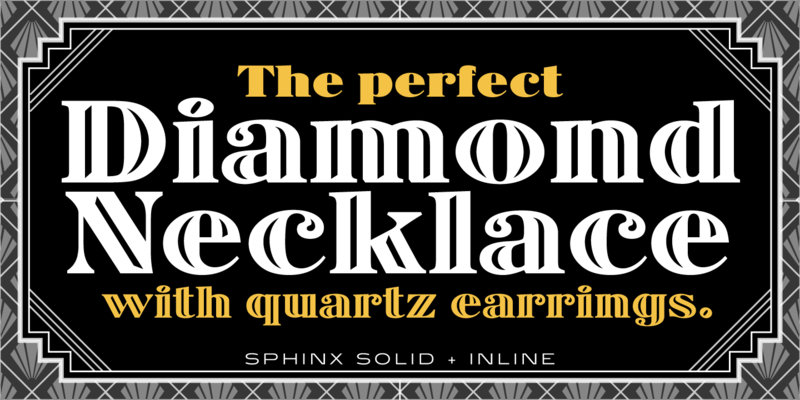 Steve Jackaman (ITF) completely redrew the family, added a lowercase set to the inline weight, and produced digital versions in 1992. 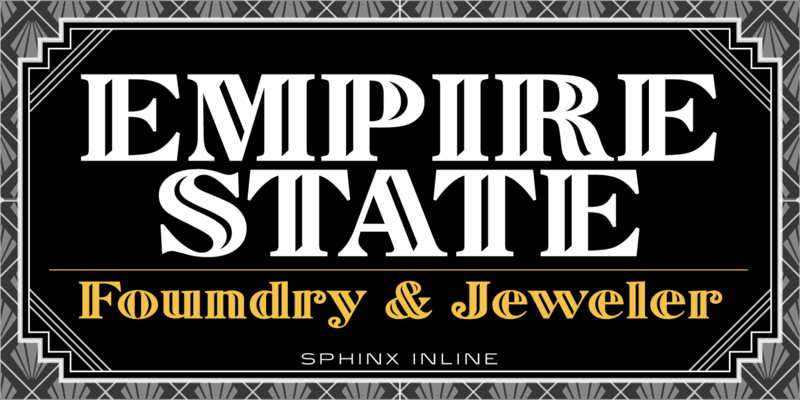 Sphinx has an imperial Art Deco feel, and the balls are attractively curled from the glyph tails. 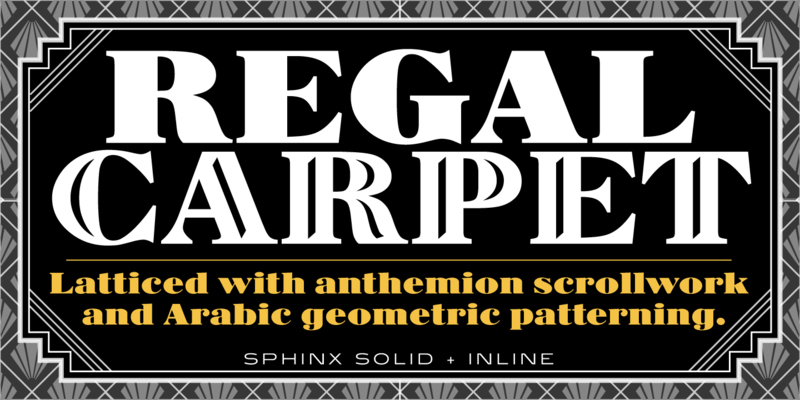 Sphinx gives visual heft to any project it is used in, and displays mightily in display and subhead sizes. 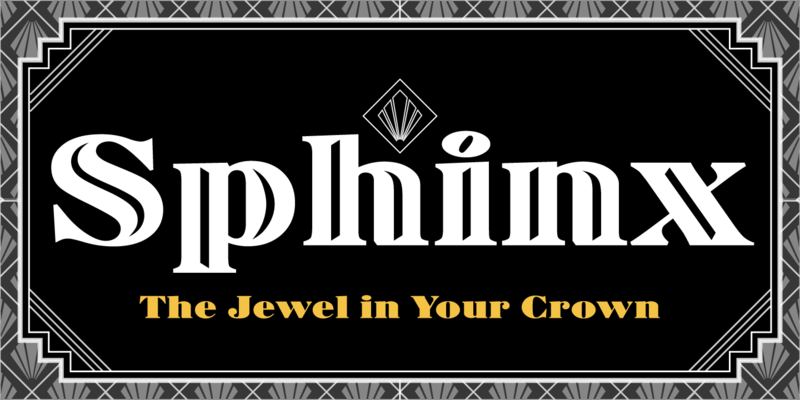 Sphinx is a trademark of International TypeFounders, Inc.